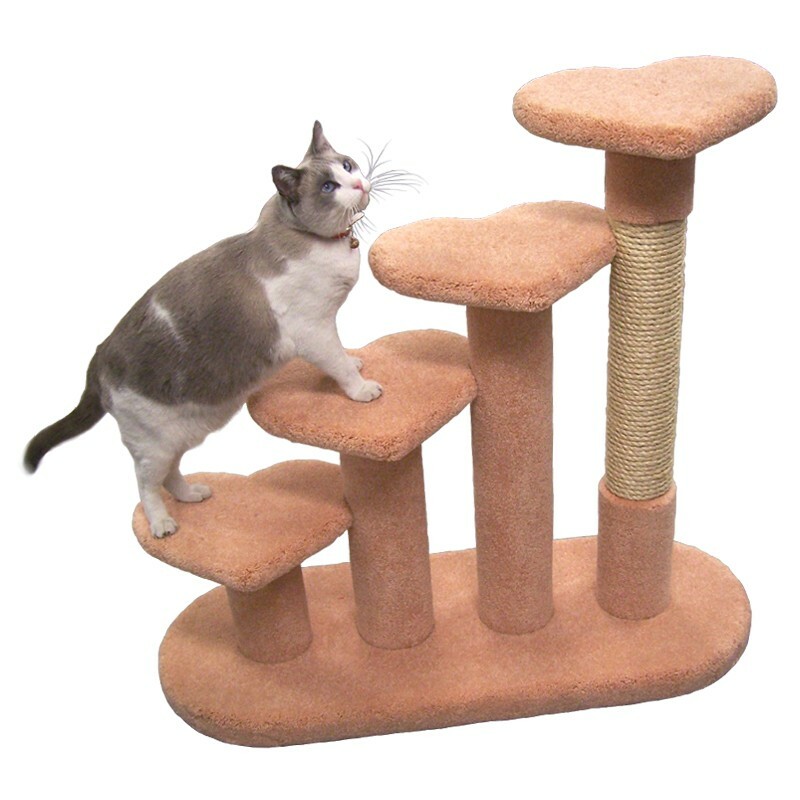 At 3' tall, this heart-themed staircase will allow your cats to easily climb up to their favorite hangouts. It is also great for older or overweight cats. The unit has options for sisal rope scratch posts. Choose whether you'd like your staircase can be built to climb from right to left, at no additional cost. Some assembly required.